As it has been some time since the last update, I thought I would post some images of the layout. This is more a pictorial update on the progress so far than a detailed account of what has been happening. This will be covered in future posts. To summarise, all the bare patches on the baseboards have now been covered over, and it is time to get down to some fine detailing. I hope you enjoy the photos. The header image shows a hard used WD Austerity running into the station on the low level. We follow this with a view from the station looking North, where the low level track runs under the high level main line from Derby to Manchester. Following is a view over the goods yard, looking back towards the station. The final images are views of the high level, representing the main line between Derby and Manchester, and a general shot of the layout. An excursion special on the up line ? During a Thursday night “work” session, one of the team took time to display an A4 with a rake of Gresley coaches. We are open on Thursday evenings from 7pm to 9pm at our Keen House clubrooms. Visitors are welcome, please come along and introduce yourself. 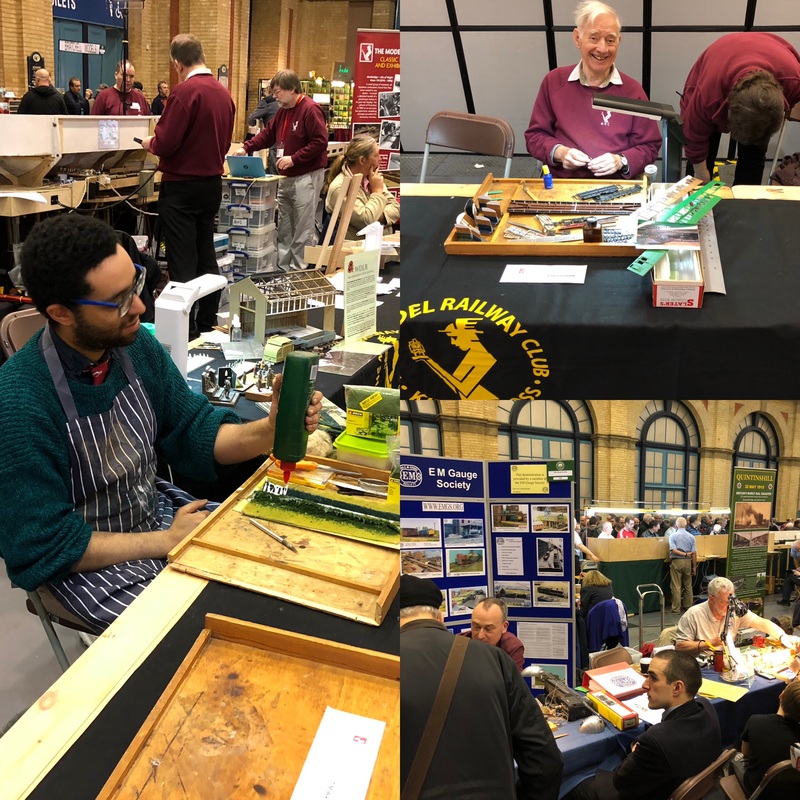 © 2019 The Model Railway Club Ltd. All rights reserved.